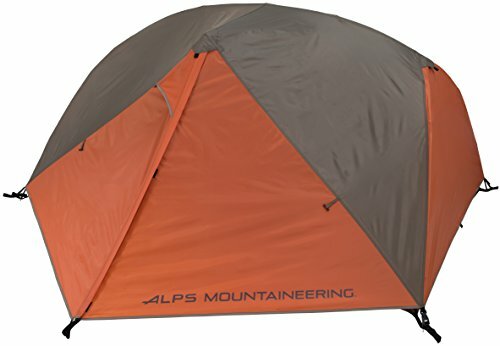 If you want to stay dry on your next trip and avoid the hassle of faulty zippers, we have the tents for you! The Chaos is a one continuous pole design, free standing tent that is enhanced with 2 doors for easy entry and 2 vestibules for gear storage and extra weather protection. Extra large #8 zippers make opening and closing the doors and vestibules a breeze. The Chaos has 7000 series aluminum poles that are strong and lightweight. Assembly is really easy with the tent clips that just snap in place over the poles. The poles are all shock corded together as one continuous system. With a factory sealed fly and floor seams, you're sure to stay dry in rainy weather. The polyester fly and floor are urethane coated, factory sealed seams for maximum weatherproofness. The fly buckles to the tent, offering a much more secure attachment when compared to elastic cord. The mesh roof vents increase ventilation and improves star gazing. All these combined features, make the Chaos a great choice for any backpacking trip. Base Size: 5'6 x 7'6, Center Height: 41", Total Weight: 6 lbs. 14 oz., Minimum Weight: 6 lbs. 2 oz.